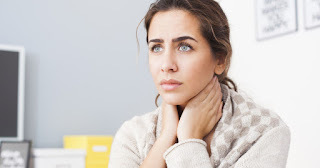 Mononucleosis, commonly referred to as “mono” for short, is often referred to as “the kissing disease” because it can be transmitted via saliva. Although mono is a common viral infection among children and teenagers, adults can get it, too. So, if you’re an adult and find yourself with symptoms of mono (extreme fatigue, sore throat, fever, swollen lymph nodes, headache and body aches, swollen spleen and/or liver), here is some helpful information for you to know. Epstein Barr Virus (EBV) is typically the cause of a mononucleosis infection, but it could also be caused by Cytomegalovirus (CMV). 1 As with all health conditions, proper diagnosis is key. If your doctor suspects mono, you may be given a mononucleosis spot (or Monospot) test, which rapidly looks for EBV antibodies. A blood test is the best way to confirm the diagnosis and to find out what type of virus caused the infection. IgM and IgG antibodies are proteins produced by your immune system to fight an infection. IgMs are the first ones to appear and do not persist in the blood for more than a few weeks. A high level of IgMs indicates a current or recent (acute) infection. IgGs appear later and will persist for the rest of your life to protect you against future infections. Because enlarged organs may occur with mono, your doctor may order an ultrasound of the spleen to check its size.1 Elevated liver enzymes (ALT and AST) showing up on your blood test can also be a sign of mono infection. So, what IS the treatment for mono? Treatment involves rest, fluids, and over-the-counter pain and fever-reducing medicines to ease symptoms. Some doctors may prescribe steroids for excessive swelling. You could also consider adding some nutrients to combat the virus. Help your immune system fight the virus with reishi mushroom3, vitamin C4, and quercetin5. The fatigue you’re experiencing could get even worse without adequate hydration. Choose a coconut water with no added sugars as a source of both hydration and minerals (which also serve as electrolytes for heart function and more). Caffeine is never really a good idea when you are sick, but you should especially avoid it while you have mono because of your elevated heart rate due to the illness. Instead of caffeinated tea or coffee, choose decaffeinated tea or plain hot water with lemon and honey. No alcohol either since it may delay the recovery of the immune system and would further elevate liver enzymes. To soothe your inflamed tonsils, hot liquids are key. Sip on hot bone broth for the protein content, soothing temperature, and minerals. Since your appetite may not be existent, bone broth can help you meet your protein needs. Don’t forget about good old chicken soup for the soul as well. You could also gargle with salt water. Exclude dairy products and refined grains during this time, especially if you are taking antibiotics, because the simple carb sugars and refined grains can feed the bad bacteria, and dairy tends to contribute to congestion and mucus production. I also suggest having plenty of fresh produce on deck to make nutritious meals.